The secret is out: there's no better place to live than the Carolinas. According to the U.S. Census Bureau, more than half of all residential building starts in the country are in the South, and it's no surprise that North Carolina and South Carolina are consistently ranked near the top of the list. North Carolina Top Home Builders - Who are North Carolina's Top Home Builders in New Hanover County (Wilmington, Carolina Beach and Wrightsville Beach) and Brunswick County (Bald Head Island, Oak Island and Holden Beach)? 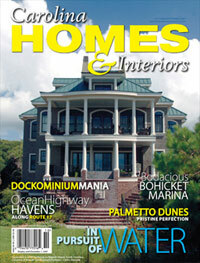 Top New Hanover County Home Builders - New Hanover County, North Carolina Top 10 Home Builders. Includes Wilmington, Carolina Beach and Wrightsville Beach. Top Brunswick County Home Builders - Brunswick County, North Carolina Top 10 Home Builders. Includes Bald Head Island, Oak Island and Holden Beach.